Join us Thursday, May 9th, 2019 to recognize the Women and Gender Studies graduating class of 2019, our minors, our certificate students, and our scholarship awardees. 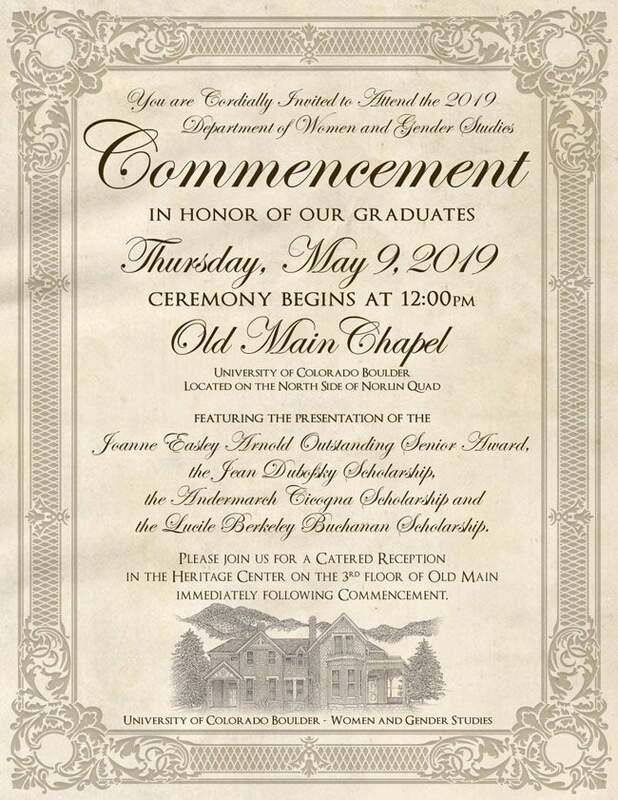 Parents, relatives and friends will gather at 12pm in the Old Main Chapel on the CU Boulder campus, and the graduates and awardees will process from the Gates Woodruff Cottage across the Norlin Quad to Old Main. A catered reception will follow in the Heritage Center, on the third floor of Old Main.